Morning Glory was a Natural Witch since the 1950s, and a dedicated Pagan activist since the early 1970s. Without her and her husband Oberon, both the face and the depths of modern Paganism would look very, very different. It is largely thanks to them that the Pagan movement in the USA embraced the Goddess as Mother Nature. The Zells articulated the Gaea Thesis and spread the word about it in GREEN EGG in the early 1970s. Back then, GREEN EGG, published by the Church of All Worlds, was the only real pan-Pagan publication, and it was the one place where regularly-published unfettered and uncensored discussion and debate occurred among many different individual practitioners and paths of Pagan practice. We cannot possibly give back to the Zells as much as they have given to us, their community. But we can do our best: take out our incense and candles, and get that mojo working! And donate money to support the preservation of their legacy for us all. Really, it’s the least we can do! 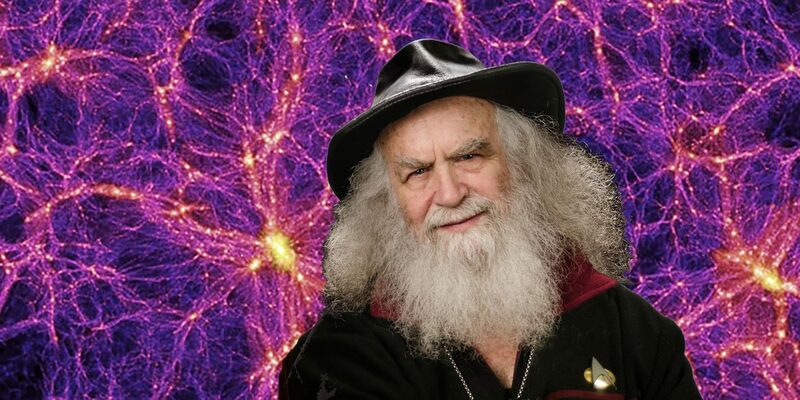 To those who study the occult, in particular, Witchcraft, the name of Oberon Zell is internationally-known and respected… Perhaps, as some have written, Oberon is the real Albus Dumbledore to aspiring Harry Potters! One of the American pioneers of Paganism in the United States, his lifetime of learning and information is shared with readers from all walks of life. He started in 1968 with the publication of his award-winning journal, Green Egg, and is often considered by readers as one of their favorite Pagan writers. Oberon Zell was the first person to conceive and publish the biological and metaphysical foundations of what has become known as the “Gaia Theory”—the unified body and emergent soul of the living Earth. Oberon’s profound reconciliation of science, mythology and spirituality inspired and infused a worldwide neo-Pagan, panentheistic movement. His visionary sculpture of the ‘Millennial Gaia’ is a three-dimensional revelation, an artistic masterpiece that fuses evolutionary biology with sculptural elegance. For 36 years he has been writing and lecturing on Gaian consciousness! [Zell] took the reader on a long tour through biology, cell division, reproduction, and evolutionary theory. The central idea of his tour was that all life had seemingly developed from a single original cell that divided and subdivided, passing its cellular material on and on. All life was interconnected, part of a single living organism. Several years after the [TheaGenesis] articles were written, Newsweek magazine, as well as a number of less popular journals, mentioned the work of British scientist James Lovelock, who had posited the ‘Gaia Hypothesis:’ the living matter on Earth, air, oceans, and land was all part of a system that Lovelock called after the Earth-Mother Goddess, Gaia… Zell entered into a correspondence with Lovelock, comparing their world views. Oberon Zell-Ravenheart has been near the heart of the NeoPagan/Wiccan/Earth Religions movement for over 5 decades. His esteem and the respect he commands for his knowledge and wisdom in spiritual counseling and advice is without parallel. He is one of the Last Men Standing, in terms of Craft Elders, and if Paganism were a country, Oberon would be one of its National Treasures. Oberon Zell is, in my opinion, one of the most intelligent and creative people in modern Paganism. (And believe me there are plenty of intelligent, creative Pagans—but he is exceptional.) He has been doing this longer than almost anyone else. He has been personally involved with many important historic events in the creation of the Earth-based spirituality that is important to so many people today. And he has the unique distinction of being probably the most influential male in the Goddess movement! When we invited Oberon and Morning Glory Zell out to speak at our Unitarian Universalist congregation, presenting ‘Real Wizardry for the Harry Potter Generation,’ ‘Paganism In The Third Millennium,’ and ‘Awakening Gaia’ to a mixture of Pagans and Unitarian Universalists, everyone found them down-to-earth, self-aware, intelligent, knowledgeable, witty, and uplifting. Our friends and members left our space that evening in high spirits. Pagans (and Wizards) everywhere will benefit from hearing their timeless and inspirational message. I highly recommend that anyone who organizes Pagan events consider them next time they are looking for a Pagan headliner. You’ll be glad you did! While it has been years since I worked alongside Oberon in religious rights/Pagan activism—his work and dedication has always been what he has and will always be known for. There are few others who have put in the time and energy, above all other things, to both protect, teach and lead. His name is recognizable to all those who follow an Earth religion and where Oberon is involved, you know that you are getting the best of both the man and what he stands for. I can’t begin to state what a privilege it was to work alongside him when I was both the organization leader of Pagans in Action, Council for Truth (P.A.C.T.) and a state director for several other organizations. Oberon is extremely knowledgeable in his field. THE worldwide expert would be more appropriate a statement. His humanitarian and ecological efforts are world-recognized. His magnetic personality that is blended with ethical behavior, unwavering honesty, and the highest of moral codes has earned him the respect of religious leaders across the globe. Without reservation, I state that Oberon Zell stands as a mentor to those who will one day be our leaders. Because of Oberon, I feel those young people have been in the best student position imaginable. There simply is no better teacher for our youth and no finer example of who I call friend, peer, co-worker, and fellow pathfinder. Oberon is an amazingly knowledgeable person whose generosity knows no bounds. He mesmerized his audience during his book signing at our store and not only blessed us with his presence but with his kindness. He went above and beyond for us during the book signing by staying longer than agreed upon and going the extra mile. There was a person who was in a wheelchair and couldn’t come into the store; Oberon took the whole book signing session outside, to the person! We loved having him with us and wished he could have stayed longer. We had a wonderful turnout and thanks to him, our store had the most successful month since opening day! We are still talking about his visit and will do so for a long time! Thank you Oberon for everything! American NeoPaganism would not be the vital force it is without having benefited from Oberon’s creativity and insight. I am, and I think all of us should be, grateful for the services he has rendered to us and to the Gods over many years.